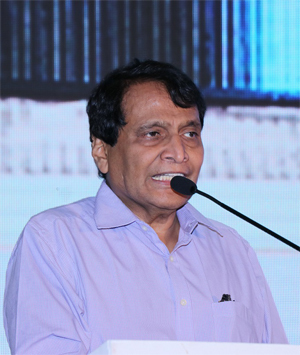 Hon'ble Minister for Commerce and Industry and Civil Aviation, Mr Suresh Prabhu recently unveiled a white paper drafted by GJEPC at the one-day seminar titled "Diamond and Jewellery Financing 2018: Mitigating risks effectively." The event organized by the Gems and Jewellery industry to find ways to reduce risks and infuse confidence into financiers, attended by leading banks and financial institutions including the SBI, Central Bank of India, IndusInd Bank, ECGC etc. also witnessed a huge turn out from the major industry players. Speaking on the occasion the Minister said "With 3 million new jobs on the anvil, the banks should not hesitate to fund the industry efforts which are bonafide, transparent and above board. Also considering the fact that the sector is on a growth spiral and in view of the potential the industry has in future, the banks should further step up lending efforts to legitimate players fuelling the trade." Commenting on the GJEPC the industry's efforts to publish the white paper he stated "I am happy that such a white paper on Diamond and Jewellery financing has been brought by the council. I hope the active participation of Banks ECGC and other stakeholders will help in strategizing for the development of the Gems and Jewellery industry that has a proven track record of being labour intensive, continuous job creation and economic development". The minister also added that "we will never encourage wrong doers in the industry but will ask our financial system to support all genuine players in the gems and Jewellery sector. This is essential to help the industry realise the full potential. 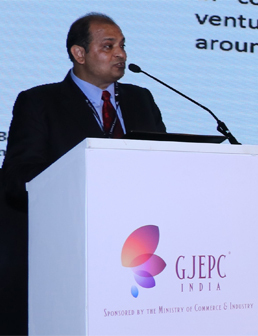 Representing the industry resolve to find solution and build confidence of the financing community Mr Pramod Agarwal, Chairman GJEPC said "The point is, it has taken decades of hard work and commitment to develop this industry in India. And we wish to take this industry to new heights in the future and contribute to the country's economic growth and generate employment. We, as an industry, promise to address the issues to the satisfaction of the banks. In fact this is the only industry in India who has created arbitration mediums with the banks and parties in case of NPA to achieve recoveries". Listing the achievements and scope of the Industry Mr Agarwal added "I feel very proud to say that we are the most respected and renowned for diamond and studded jewellery in the international market". The industry is strengthening our manufacturing base with the help of Ministry of Commerce & Industry by setting up 13 Common Facility Centers (CFCs) in different gems & jewellery clusters pan India. Cluster mapping is also being undertaken by GJEPC and will help small exporters, (kaarigars) who are the backbone of our industry but cannot really afford to buy costly machines. We have also initiated on- site training programmes in the tribal pockets of Ratnagiri and Sindhu Durg. 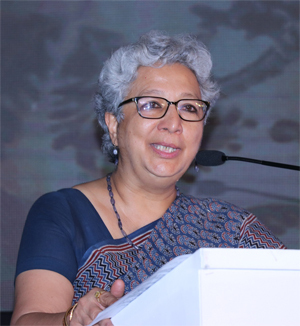 Commerce Secretary Ms Rita Teaotia welcomed the initiatives of the council such as MYKYC saying "this initiative will improve confidence and boost lending to the sector and as well ensure better sharing of information and transparency and growth of this SME sector. It is important for banking sector to support gems and jewellery industry as it forms an integral part of the country's GDP." Vice Chairman of GJEPC Mr Colin Shah reminded the members that "at current level of 5 million jobs being provided by the industry, it is the amongst the largest employment generators contributing 10 billion dollars to BOP, with a potential to add tremendously" Having been at the helm of drafting the white paper Mr Shah feels that the joint efforts of key financiers and industry has been able to address many risk factors and MYKYC will be a single largest contributor in increasing transparency and addressing relevant risks." The summit was also attended by Mr Sanju Kothari, Convener BITC, GJEPC, Mr Paul Rowley Executive Vice President, De Beers, Shri Dinesh Kumar Khara, Managing Director, SBI, Mr. Manoj Dwivedi Joint Secretary Ministry of Commerce and Industry and others. The session also saw an engrossing panel discussion amongst Mr PN Prasad Deputy, MD, SBI, Biju Patnaik, Executive VP and Head, Diamond and Jewellery division IndudInd Bank, Mr George Abraham, GM Specialized Industries Group Emirates, NBD Dubai, Mr K K Taneja Field GM Central Bank of India, Mr M Senthilnathan, ED, ECGC, and Mr Manoj Dwivedi Joint Secretary Ministry of Commerce and Industry.